George is OK: Thank the men who stare down microscopes! The news that actor George Clooney contracted malaria on a recent visit to Sudan focuses fresh attention on the biomedical research that is being done to defeat the disease. 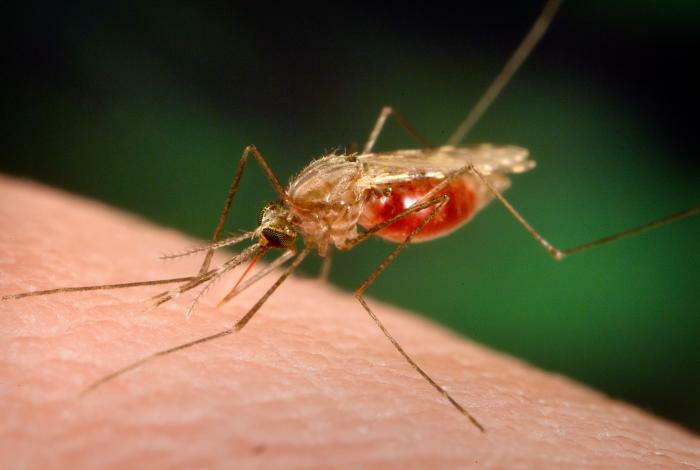 While the news reports don’t state which drugs Cloony took to beat malaria, It is most likely that he was treated with artemisinin-based combination therapies (ACTs), which became available in the late 1990s and are now in widespread use. If that is the case, he has benefited from mouse studies done in China the late 1960s and early 1970s when over 100 traditional herbal remedies were screened in a rodent model of malaria for anti-malarial activity (1). Eventually “Project 523” scored a hit when Professor Tu Youyou identified an extract of the plant qinghao, scientific name Artemisia annua, which had good anti-malarial activity, leading to the development of the artemisinin-based anti-malarials which have become the first-line treatment for malaria in the past decade. Due to the real risk that malaria will evolve resistance to artemisinin – evidence of this have already been observed – the World Health Organization guidelines for the treatment of malaria stress that artemisinins must always be used alongside other anti-malarial drugs in artemisin-based combination therapy (ACT). Of course the medical community isn’t just going to rely on combination therapies to slow the development of drug resistance in malaria, efforts are underway to develop new antimalarial drugs, such as the drug Arterolane which recently performed well in phase II clinical trials and whose preclinical development relied heavily on assessment in rodent models of malaria. Nevertheless, the statistics on malaria are horrendous. Roughly half of the world’s population is at risk for the disease. Annually, there are an estimated 350 to 500 million cases, and every year one million people die of malaria every year – and 85% of those are children under the age of 5. Despite the success of ACTs in combating malaria and dramatically reducing the number of deaths in many countries, sustained research is needed to develop new medicines to replace those that are losing effectiveness due to growing resistance in malaria’s parasite hosts. Other vaccines are in earlier stages of development and also hold promise. Some are being combined with RTS,S, which may lead to a highly efficacious vaccine in 8 to 15 years. One of these vaccines that is being developed by Dr. Simon Draper and colleagues at Oxford University was discussed on the Pro-Test blog in 2008 and has the advantage over RTS,S that it induces immunity against all stages of the malaria parasite’s life cycle, not just the liver stage that RTS,S targets. Further refinement of this and other vaccines – a process that, as a review led by vaccine expert Professor Adrian Hill of the Jenner Institute in Oxford describes, involved the study of a variety of combinations of viral vectors with malarial genes in rodent models of malaria – has yielded six candidate vaccines that are now being assessed for safety and anti-malarial activity in early clinical trials in humans. Speaking of Research celebrates George Clooney’s rapid recovery, even as we advocate for the ongoing animal research that will lead to millions of lives being saved through the treatment, control, prevention and eventual eradication of malaria from the planet. Posted on January 26, 2011 January 26, 2011 by EditorPosted in News, Science NewsTagged Adrian Hill, artemisinin, Arterolane, China, George Cloony, malaria, malaria vaccine RTSS, mouse, Simon Draper, Tu Youyou, vaccine, World Health Organization.